Juxtapoz Art Beat - JOHN MELLENCAMP'S NEW SHOW OF PAINTINGS: "LIFE, DEATH, LOVE, FREEDOM"
The acclaimed musician, agriculture activist, actor, and painter, John Mellencamp, is opening a new exhibition titled Life, Death, Love, Freedom. This will be Mellencamp’s second solo exhibition with ACA Galleries in New York City, and will showcase two bodies of work: Mellencamp’s sculptural assemblages, and a series of portraits. 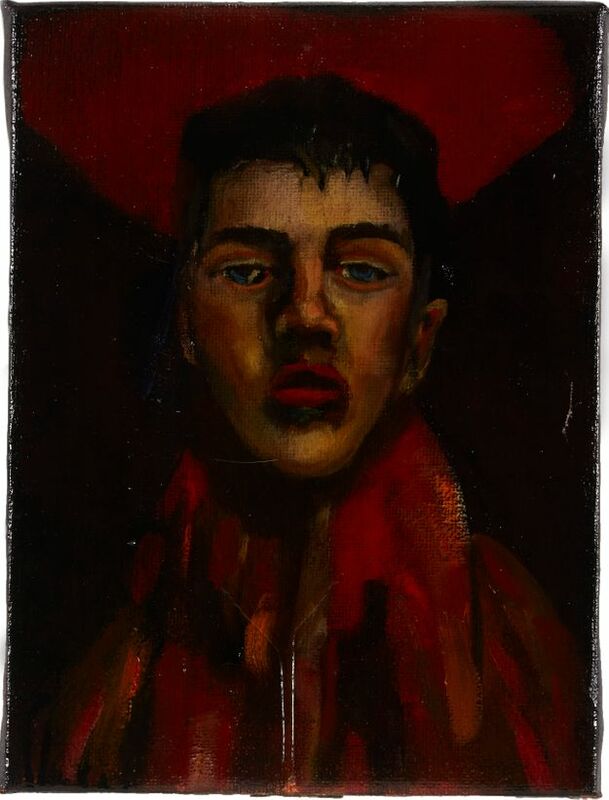 Heavily influenced by the German Expressionists, such as Otto Dix and Max Beckmann, whose anguish over human brutality and corruption speaks to his deep feelings about social justice, Mellencamp’s imagery takes its inspiration from the same sources as his music: the oppressive authority and social struggles of the working man and woman. To get an idea of Mellencamp's art, we wanted to ask him about this new show and the visual portion of his artistic career. How long have you been making visual art? Was this something that you did during your initial music career? I’ve been making visual art for as long as I can remember. I originally went to New York to go the Art Students League and in the meantime, I got a record deal. What visual artists inspire you? Are you inspired by other musicians that make visual art? An amateur artist borrows. A professional artist steals, and is inspired by what they have taken. A lot of your portraits are really dark (color wise,) What draws you to this thematically dark style? My palette is the same palette it has been for 40 years, and it is the same palette as Rembrandt’s. I very rarely use non-earth tone colors, but that doesn’t mean I wouldn’t if I felt the surprise of the addition. Also, a lot of your work feels referential to America and the American political landscape, is this one of the primary intentions behind your art? Or is it more just what you're thinking of? A true art is when the artist is surprised. I’m not looking to make any statements or hang on any crosses. I’m looking to surprise myself. The painting must be beautiful, even if it’s grotesque. ACA Galleries is pleased to announce contemporary artist John Mellencamp’s new exhibition, Life, Death, Love, Freedom, opening on April 26, 2018 in New York. This is Mellencamp’s second solo exhibition with the gallery, and will showcase two bodies of work: Mellencamp’s sculptural assemblages and series of portraits. Heavily influenced by the German Expressionists, such as Otto Dix and Max Beckmann, whose anguish over human brutality and corruption speaks to his deep feelings about social justice, Mellencamp’s imagery takes its inspiration from the same sources as his music: the oppressive authority and social struggles of the working man and woman. But though that foundation is German, the evolved result is decidedly American, with the brash and snappy visual rhythms of our streets, lives, politics and passions.